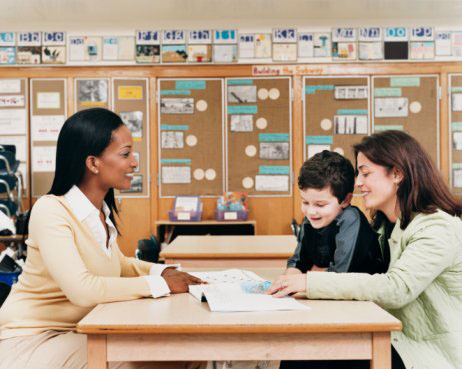 The Individualized Education Program is a treatment plan for your child’s speech disorder. It is specially tailored to meet your child’s needs. An IEP is implemented within the public school system in accordance with the Individuals with Disabilities Education Act (IDEA). While it’s not exactly rocket science, navigating the IEP process may sometimes be frustrating. You’ll likely have a great deal of paperwork to review. The first step in getting help for your child with an IEP is getting a referral. Your child’s teacher or doctor may refer him for an evaluation or you could call the school and request one. A referral for an IEP does not necessarily mean that your child has a speech disorder as defined by the IDEA law, but it sets the process in motion. The evaluation for an IEP is a little different than an initial assessment by a speech-language pathologist (SLP). This evaluation involves the assessments of the SLP and other professionals, which may include a psychologist, social worker, physical therapist, occupational therapist, and a special educator. Sign the permission form to start the evaluation process. The interdisciplinary team will likely meet with you and your child. They may observe your child in the classroom and review his homework. They may conduct additional tests, such as evaluations of his reading skills and language development. The team will then compile their findings into a comprehensive evaluation report (CER). After your child is evaluated for a possible speech disorder, you will receive a notice for the IEP meeting. You may request a copy of the CER before this meeting. You may also request a separate meeting prior to the IEP meeting to discuss the CER. This can be useful to help you prepare for the IEP meeting. 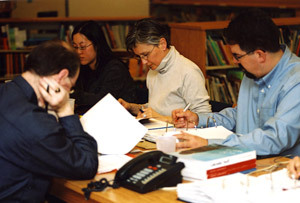 At the IEP meeting, your child’s eligibility for help under the IDEA law will be determined. If your child is found to have a qualifying speech disorder, the next step is the development of the IEP. This is a written document that details your child’s needs and the support services he will receive within the school. It also describes the specific goals for your child’s progress. Take an active role in developing the IEP with the interdisciplinary team; you are your child’s best advocate. Ask any questions that you have. Do not hesitate to voice your concerns; if you disagree with any part of the IEP, say so. For example, the IEP may state that your child will have access to two 1-hour speech therapy sessions per week. If you want him to have access to additional speech therapy help, negotiate for three or four sessions. Your child’s IEP will be reviewed once per year, if not more often. If you feel that your child’s IEP is not serving his best interests, you can request a review at any time. The school may also request a review. During the review, the IEP may be revised. About every three years, your child will be reevaluated. An interdisciplinary team will determine if your child continues to be eligible for help under the IDEA law.